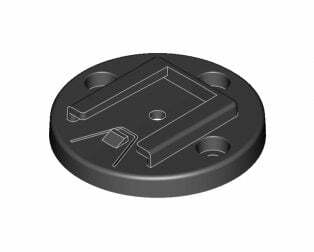 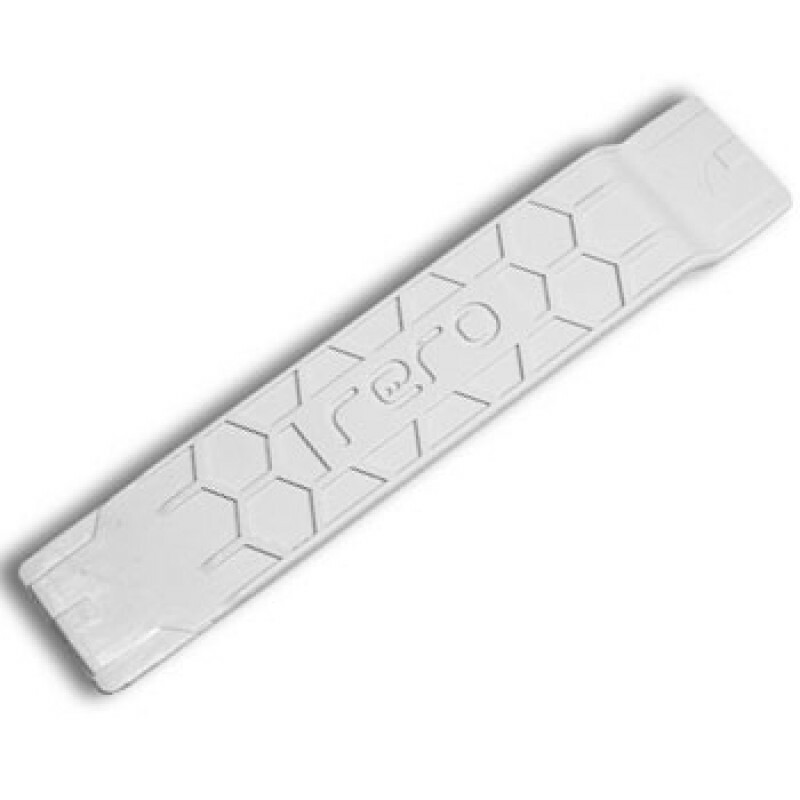 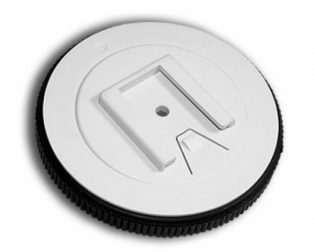 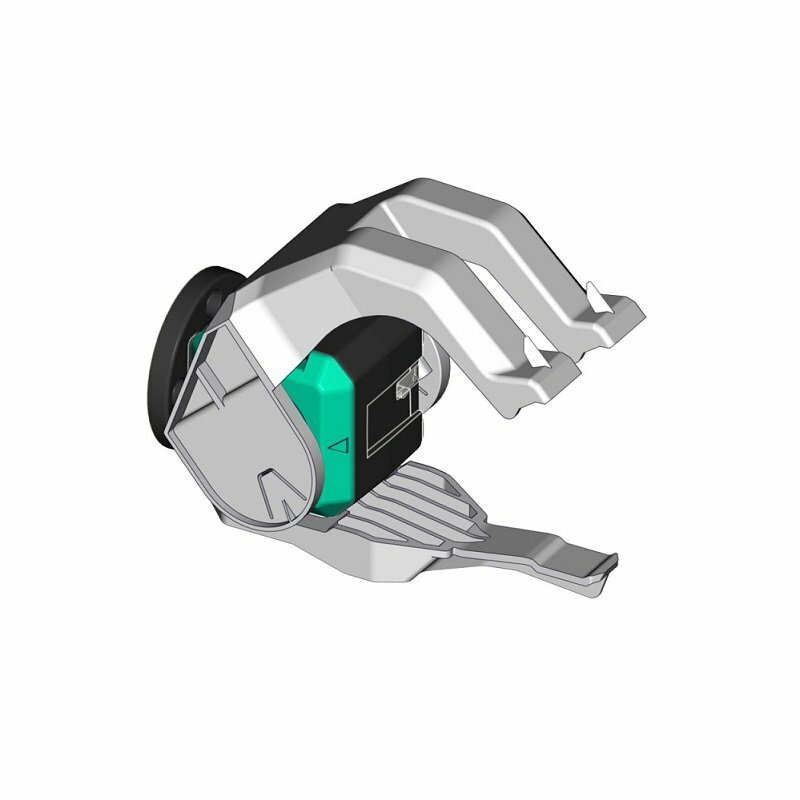 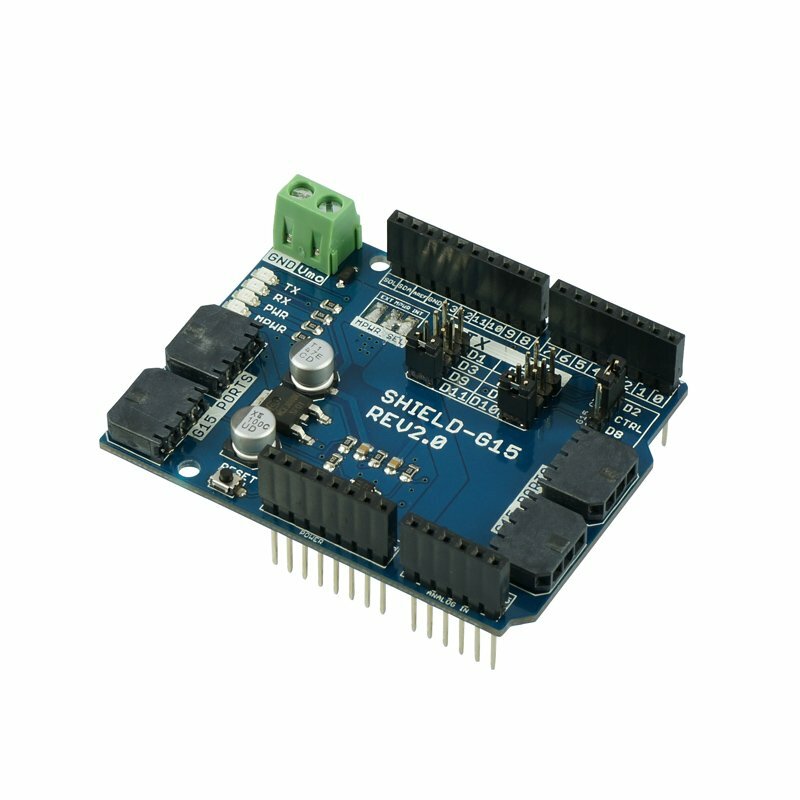 Cytron G15 Shield is a shield for controlling Cytron’s G15 Cube Servo and servo motor. 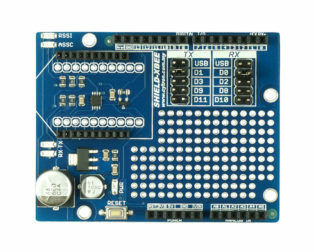 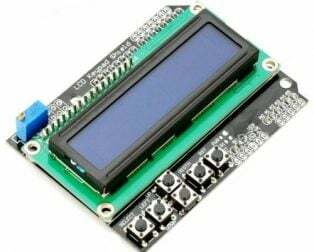 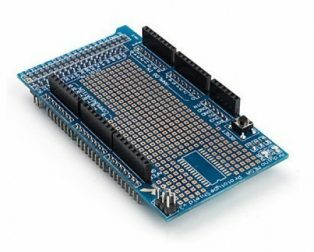 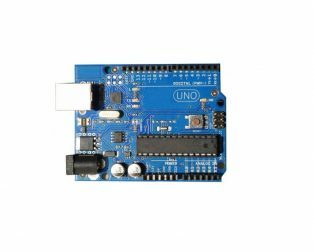 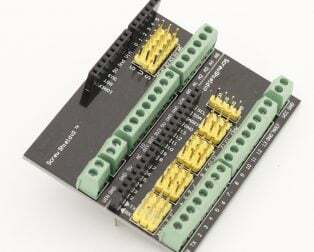 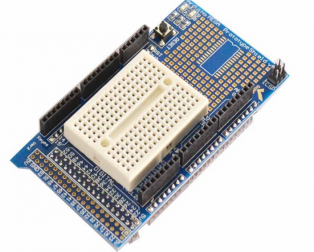 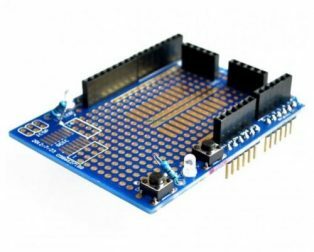 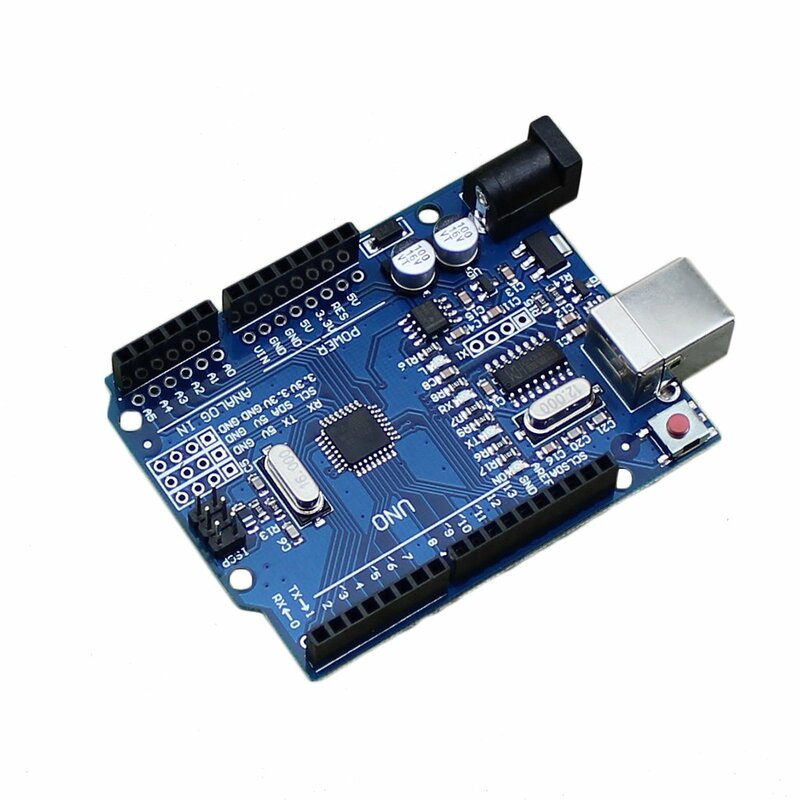 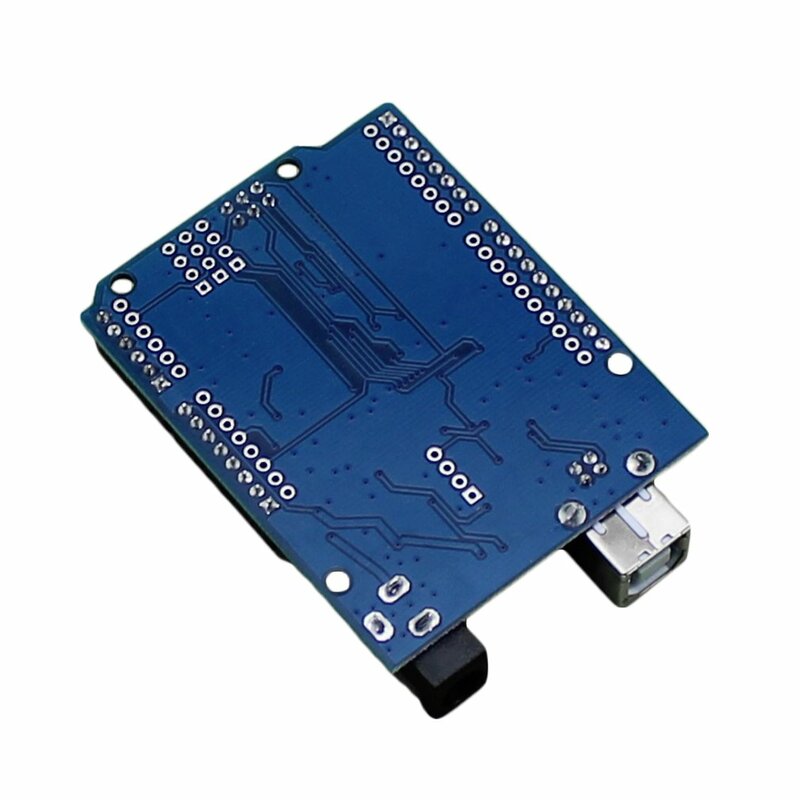 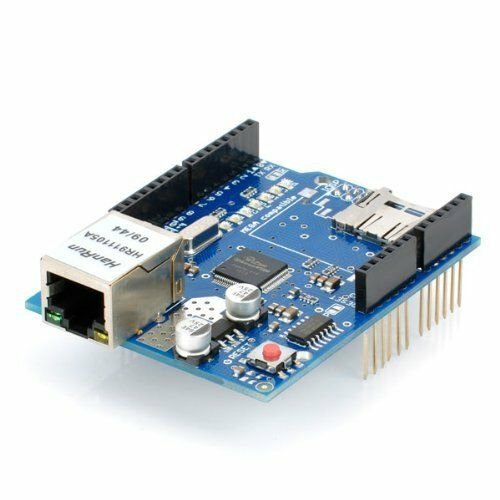 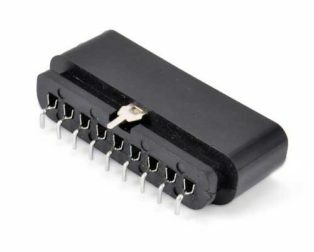 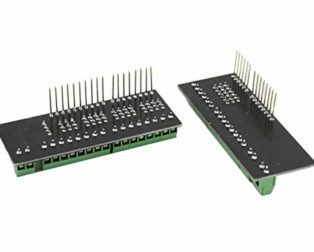 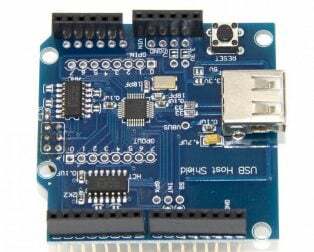 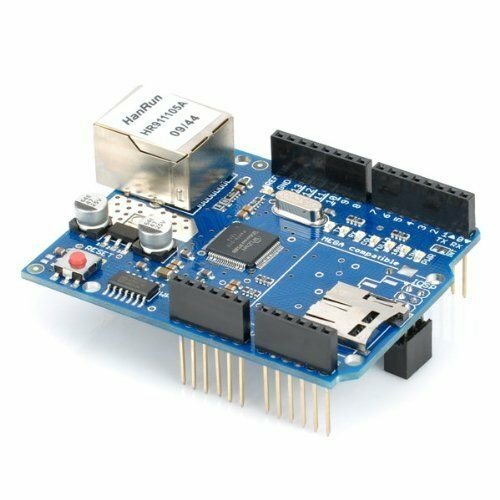 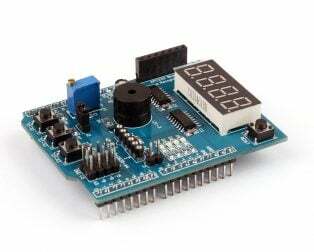 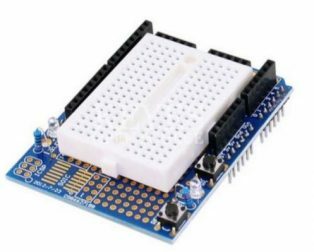 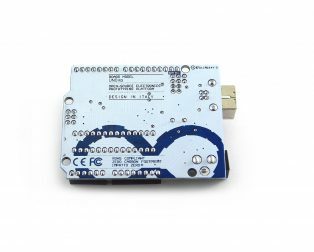 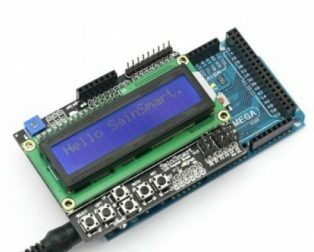 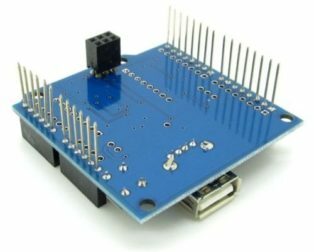 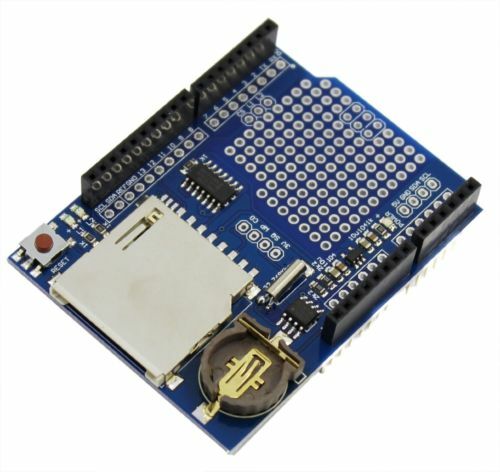 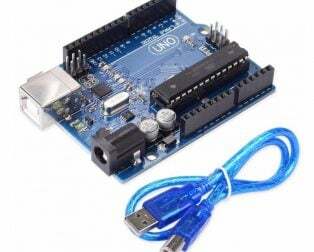 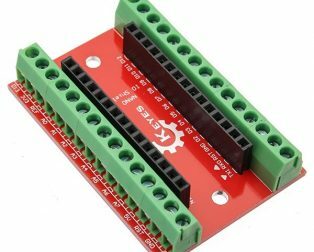 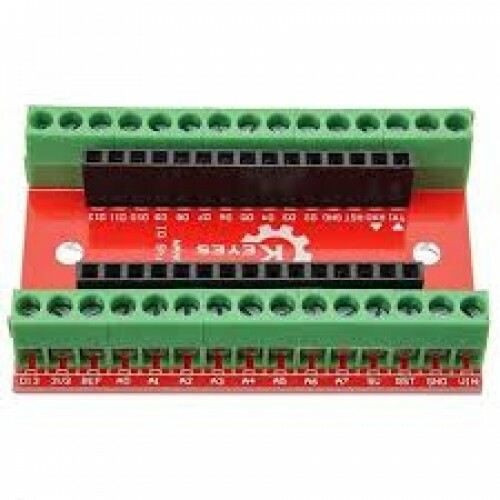 It is compatible with Arduino UNO, Arduino Duemilanove, Arduino Mega, Arduino Leonardo and possibly another pin compatible mainboards. 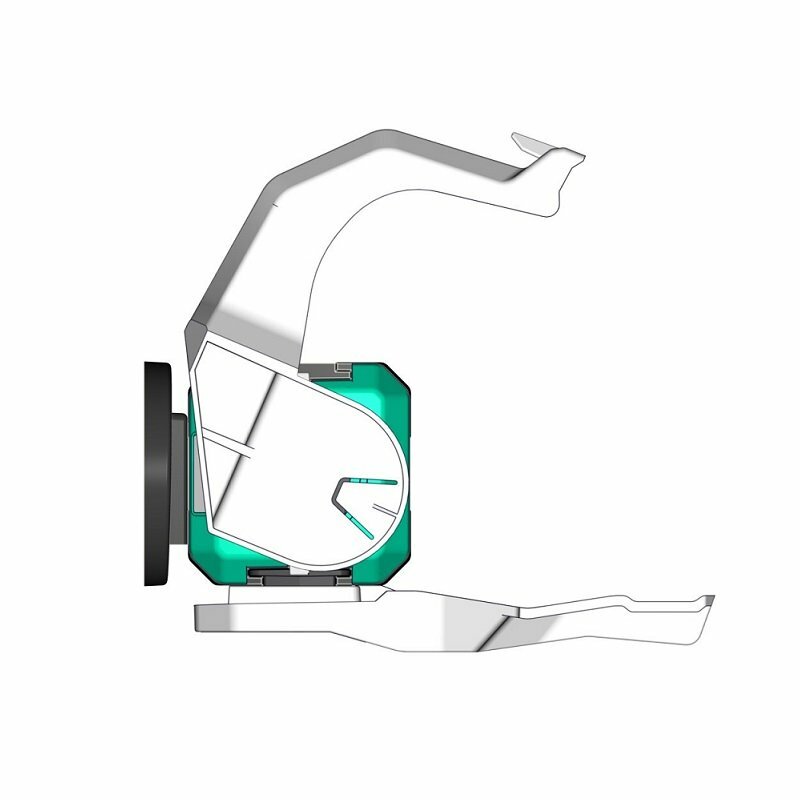 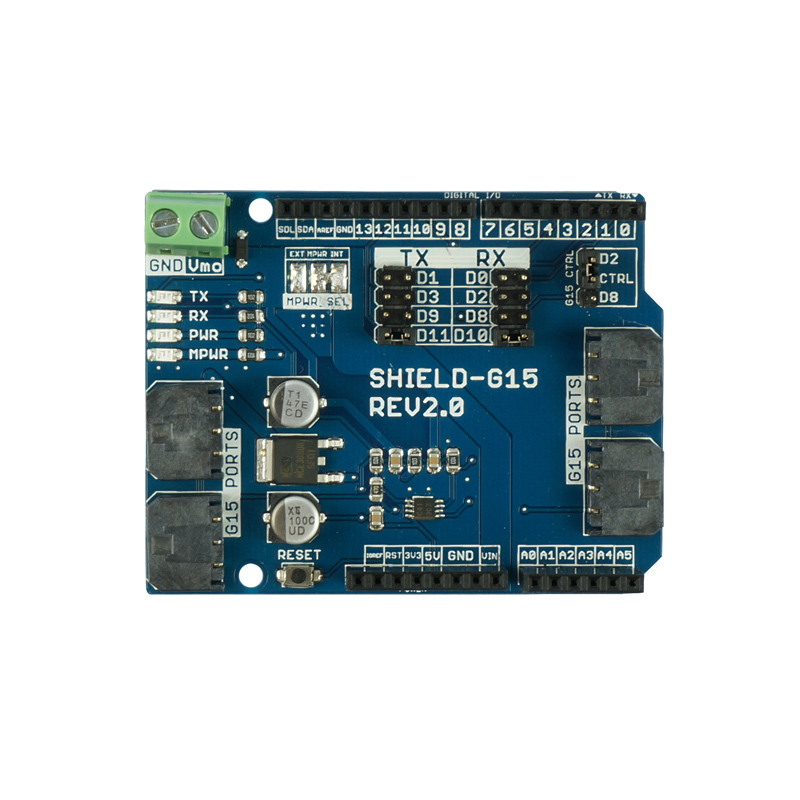 This is the v2.0 of Cytron G15 Shield which includes some of the advantages over the Cytron G15 v1.0 Shield. 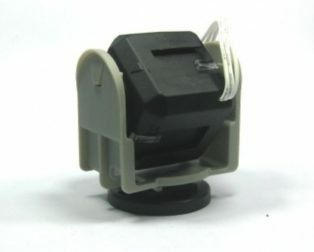 This shield has four ports for Cytron’s G15 Cube Servo. 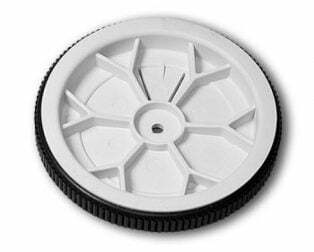 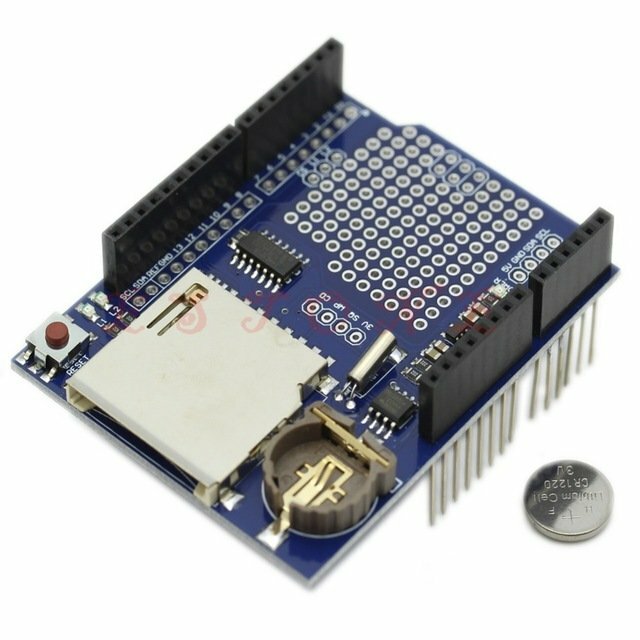 G15 is the serial servo. 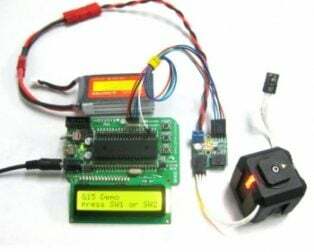 Hence more than one servo can be daisy-chained in series. 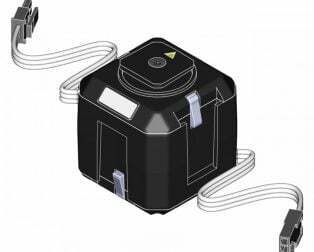 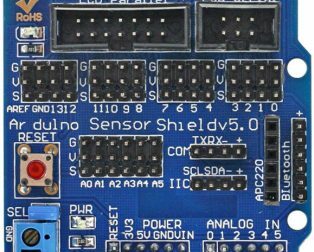 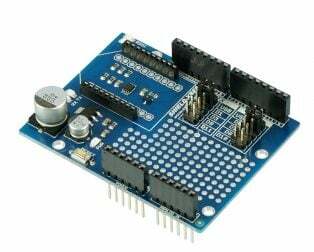 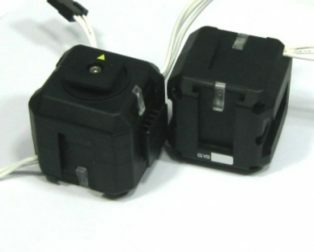 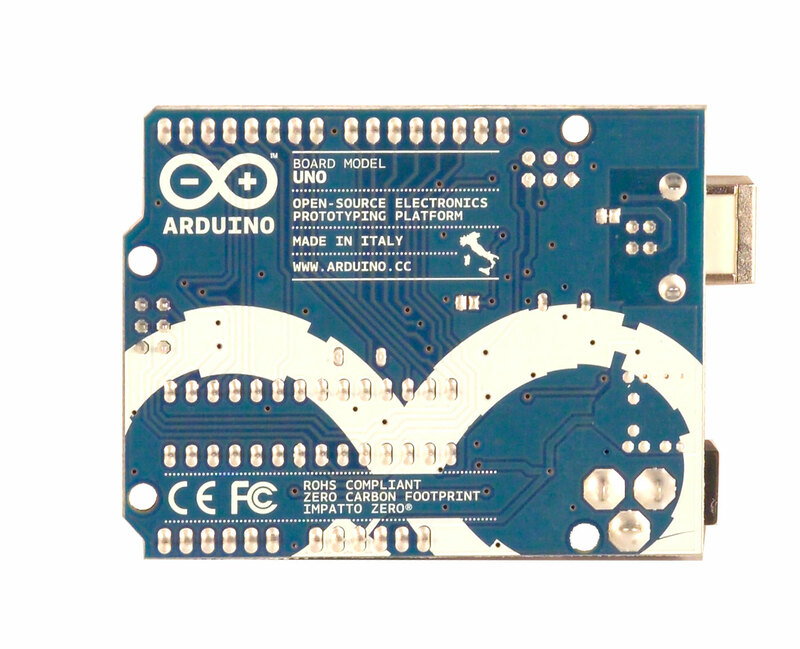 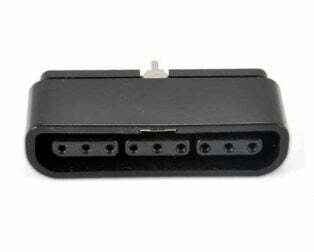 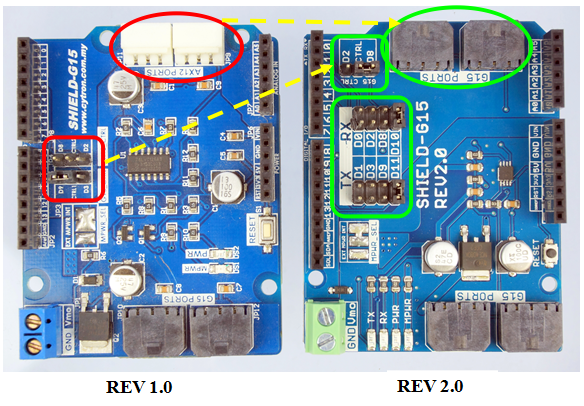 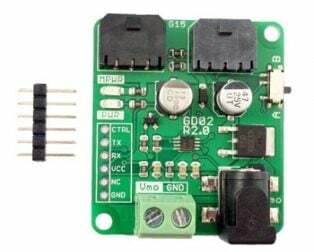 The user may choose to supply the servo motor from Arduino‘s VIN or the External Power port of Cytron G15 Shield. 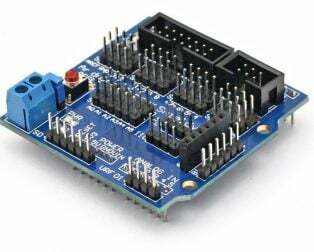 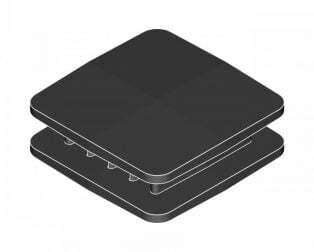 It also has stackable side headers which allow other Arduino shields to be stacked on top of it.